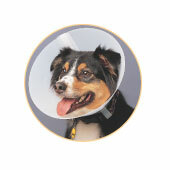 Due to many different factors, including disease or trauma, your dog may one day need surgery. While surgery can be stressful for you and your dog, there are a few basic steps that you can follow that will ensure the process is as easy and carefree as possible. Depending on the type of surgery required, your vet will advise when your dog can resume a normal, healthy lifestyle. Before any surgical procedure, it is important that your dog be seen by your regular Veterinarian to determine if any pre-existing conditions will interfere with or prevent the procedure from taking place. Pre-anesthetic bloodwork and urinalysis will be strongly recommended to screen for any diseases or potential health risks not found on a physical examination that could interfere with or prevent the procedure from taking place, such as liver and kidney issues. Pre-surgical instructions, such as fasting or medication restrictions, will also be discussed at this time. Due to the nature of general anesthesia, your dog will most likely feel weak and groggy during the first 24 hours post-surgery. At this time, it is important to keep your dog calm and quiet to help them recover and give incision sites a chance to heal. To ensure a full and uneventful recovery, please follow the instructions regarding aftercare and medications given to you at time of discharge.